In today's episode the guys review the Broncos game. Including Brandon Browner's and Jermaine Kearse's big games and Adam freaks out over the penalties. They also ponder who has the more impressive beard Sean McGrath of Micheal Bennett. They preview the Green Bay game and Adam and Brandan disagree on the over/under for the number of times the Golden Tate reception on Monday Night Football will be replayed. 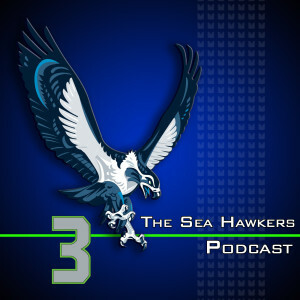 The Sea Hawkers Podcast is on Patreon. Support the show by donating and get bonus episodes!